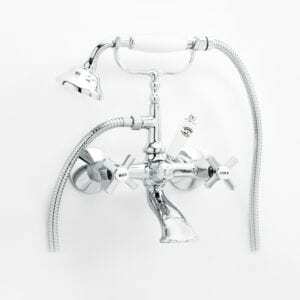 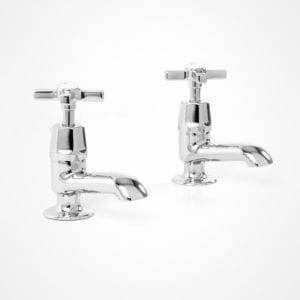 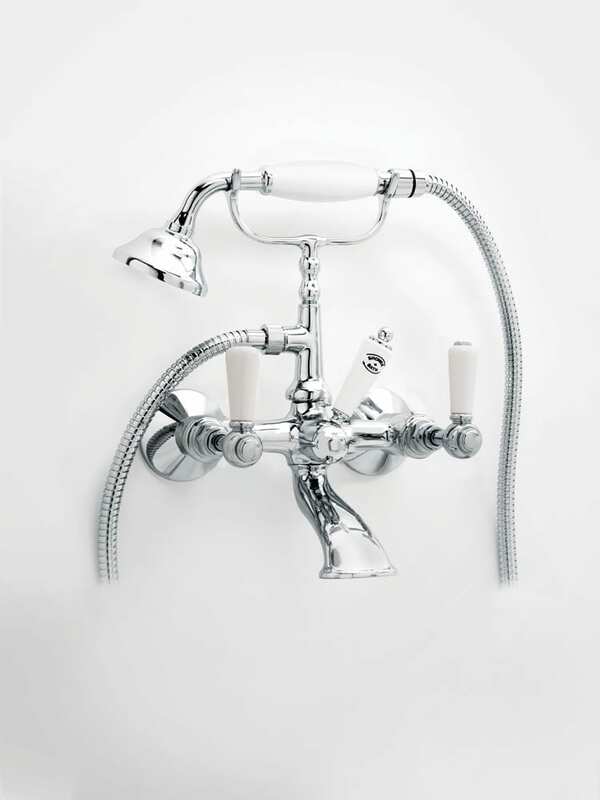 Britannia bath mixer with handshower, cradle, diverter & white levers. 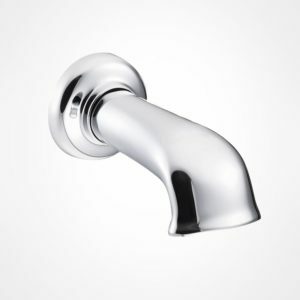 This product is designed for a wall mounted installation and has variable centres with 15mm inlets. 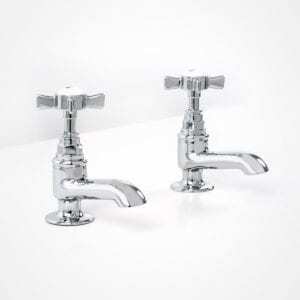 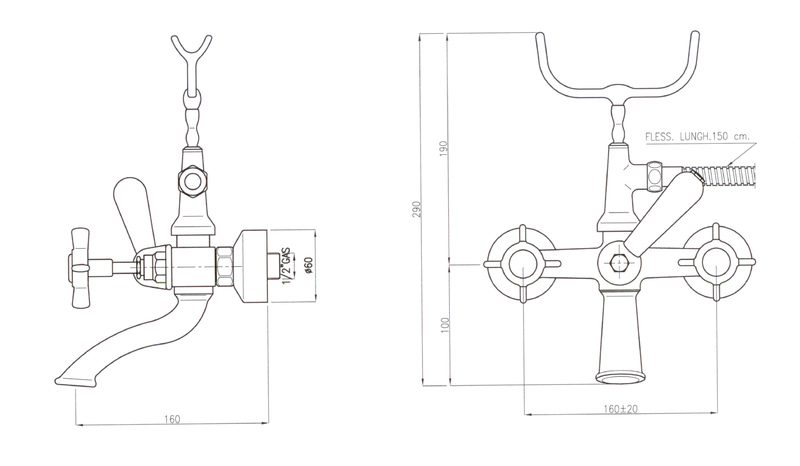 To increase the spout projection, extension pieces are available upon request at an additional cost.